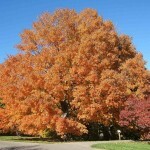 The great American sugar maple is a beautiful deciduous tree that offers some of the prettiest fall color of all maples. It is widely distributed from the northerly reaches of eastern Canada down to Georgia and Louisiana, so there is a lot of variability in hardiness and the trees are well-adapted to many growing situations; though in the wild they tend to be upland trees. 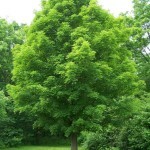 Sugar maple seedlings are also surprisingly shade-tolerant and will grow fairly vigorously in the forest understory. Sugar maple is an upright deciduous shade tree with an oval to rounded canopy. In early spring it puts forth inconspicuous clusters of chartreuse flowers that develop into helicopter-like fruits called samaras. Its medium to dark green summer foliage gives way to spectacular hues of red, pink, orange and golden yellow in the fall. A well-colored sugar maple has the sunny hues of a summer peach. There are many cultivars that vary in size, form and fall color. 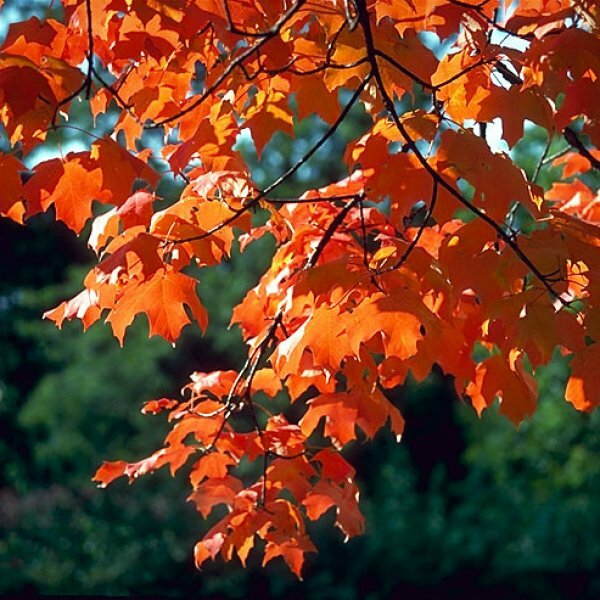 In addition to beauty, these trees offer a sweet treat that’s a true American favorite, maple sugar and syrup. Sugar maples are the best maples for syrup, as their name would suggest. 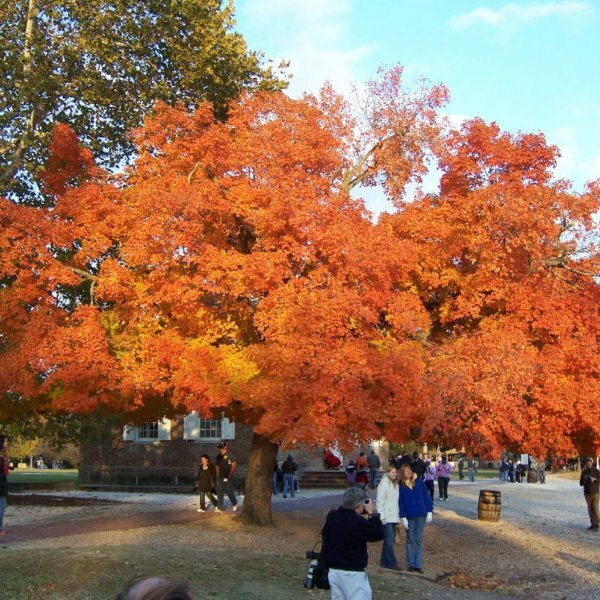 In late winter to early spring the trees are tapped as soon as temperatures begin to warm and the watery slightly sweet sap starts to flow. The sap is collected in buckets and taken to a sugar house where it is cooked down, or reduced, until thick, syrupy and super sweet.